Walk the city walls! 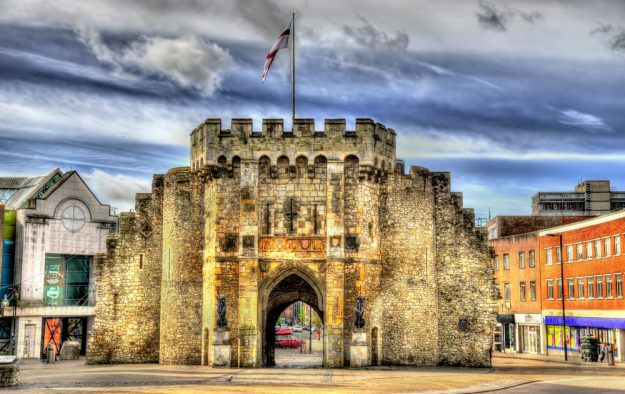 Southampton was a huge port in centuries gone by, and the Bargate and city walls, which were built under the Norman control of Britain in the eleventh century, have been used ever since to serve the city. Whether it has been to protect the city, or use the buildings and gatehouses as official buildings, these walls and gatehouses are steeped in history and you’ll learn so much about Southampton by walking their route! Visit the Seacity Museum! It’s fairly common knowledge that Southampton lies on the seafront down here on the South Coast, and this museum shows off all the nautical history of the city. It also has an exhibition focused on the story of the Titanic, which set sail from Southampton in April 1912, and a special exhibition on the history of the ocean liner – this is one not to miss! Or if you prefer flying, then Solent Sky Aviation Museum! An independent museum housing all sorts of aircrafts and frames, this museum is situated right by Ocean Wharf and shows up the aviation history of Southampton. The Spitfire was built just outside Southampton in Eastleigh, and so it is only fair that this historic, legendary plane, and many more like it, are shown off. Visit the Tudor House and Garden. Billed as Southampton’s most historic building, the Tudor house contains over 800 years of history, all in one site. The great thing about this sight is that you can buy combination tickets to visit this and other sights throughout Southampton, such as the mentioned Seacity Museum, so you can make a really good day out with multiple sights for quite a cheap price! Now that you have those sights to get a hold of, make sure to go and have a look around them and see what other sights of interest you can find! Of course there are many more, from the Mayflower Theatre to the Common to the many art galleries around town, so hopefully these can start you off on your grand tour and who knows where you’ll end up. Let us know what sights you love!